World Class Geothermal Heat Pumps from QEnergy Systems are available at Custom Cooling and Heating Inc.
With Geo Excel Geothermal Systems from Custom Cooling and Heating Inc.! Tap into the energy already in your backyard with ground water system, horizontal and vertical systems, or pond/lake system. Using your existing well for your home, the geothermal system heats and cools the home. The water discharged from the geothermal system is then piped into a pond, waterway, or anther well. This open loop style is the most effiicent way to heat and cool your home. A closed loop system uses vertical or horizontal loop wells buried in your lot or acreage. The gycol solution is circulated in the loop system and the geothermal system heats and cools your home with this energy source. The loop temperature does vary with the amount of use and outdoor temperature which effects the efficiency. No idea where to start? 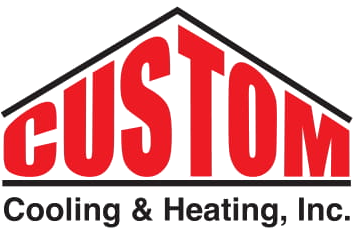 Ask the team at Custom Cooling and Heating Inc. to tell you about the benefits of geothermal systems and what may work best for your business or home!